This is pretty far outside of my reading comfort zone. I almost never read romance novels. As in, other than those written by friends, the last time I picked up a romance novel was high school. It's just not my thing. But I'm doing a genre challenge this year that requires a romance novel and I've heard great things about Sarah MacLean, so I decided I'd go for broke and try this Regency novel. While I'm not sure that I'm a convert to the romance genre, I was pleasantly surprised by the writing. It's not literary by any means - it's definitely genre writing. But it's surprisingly clever and funny, and I really enjoyed the characters, especially the women. MacLean has written some engaging female characters who are smart and independent and think for themselves. 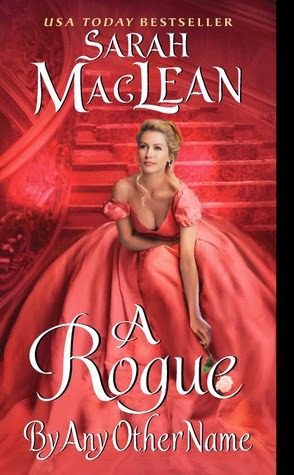 Even though I'm not a romance convert, I am impressed by MacLean and it wouldn't surprise me if I pick up another of her books in the future when I need something light and fluffy. I think if you're into romance, or you're looking for something easy and fun, this is a great choice.